Rivets of Boston neck tie. Royal blue base color with black and silver diagonal stripes. 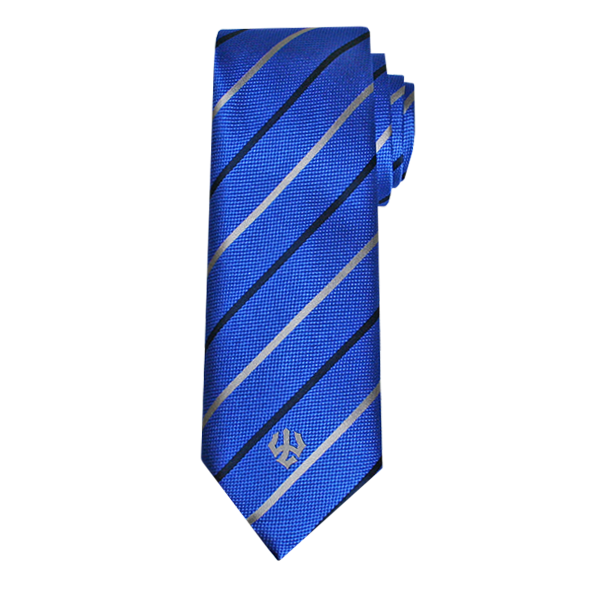 Small trident embroidered at the bottom of the tie. Hand-made with 100% silk.